NLC calls for arrest, prosecution of El-Rufai’s aide – Royal Times of Nigeria. 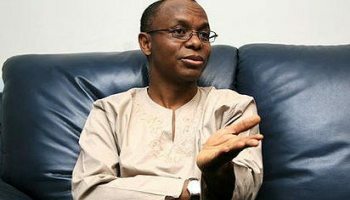 The organised labour called on the police to arrest the Special Assistant to Governor Nasir El-Rufai of Kaduna State on Public Affairs for allegedly leading the suspected thugs that attacked workers during the protest rally organized by the leadership of Nigerian Labour Congress, NLC, Thursday. The Special Assistant on Public Affairs, Mouktar Maigamo according to a statement signed by the General Secretary of the NLC, Dr. Peter Ozo-Eson was allegedly seen with suspected hoodlums with dangerous weapons that attacked the workers. The statement read: “We have been reliably informed that the thugs who were sent to attack workers during our mass protest in Kaduna on Thursday were led by the Special Assistant to the Governor of Kaduna State on Public Affairs, Mouktar Maigamo who was seen among the machetes wielding hoodlums as they moved towards the secretariat of the State Council of Nigeria Labour Congress in Kaduna.